When I was told about Organix’s new cereal bars for toddlers, I knew my little minions would love the chance to try them so happily arranged for some to be sent to us for them to review. 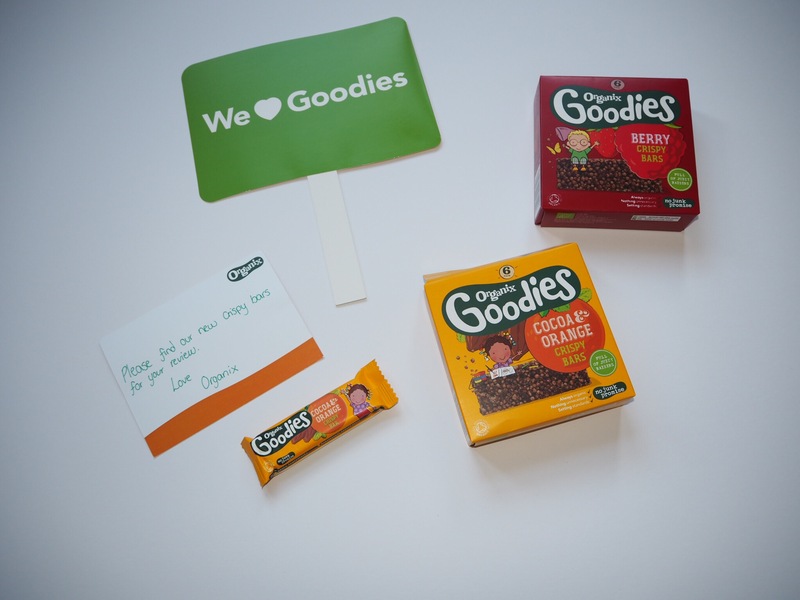 “For little explorers who like to try something new, Organix Goodies launches their new crispy bars. Packed full of juicy raisins and crispy puffs of rice, they’re a fruity, no junk snack for little adventures”. When we received the box through the post, the children were instantly interested, especially when they saw the colourful cereal bar boxes inside. They also loved the cute little prop style sign included in the box. Somehow I managed to hold them off long enough whilst I took a photo (children just don’t understand the need for a beautifully composed picture). They tucked into their cereal bars and weren’t afraid to let me know what they thought. 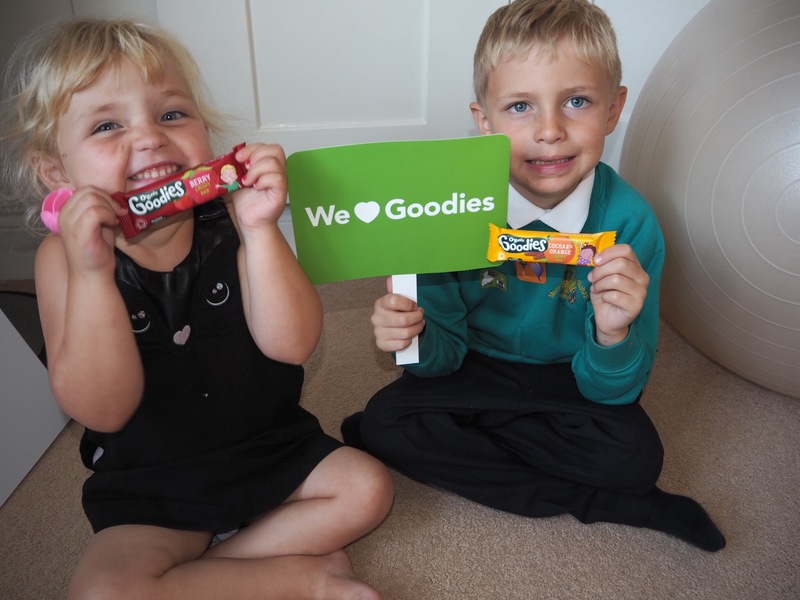 Even though they found the flavours quite strong (one is chocolate orange, the other mixed berries), they loved the chewy texture. They definitely preferred the chocolate orange ones, which isn’t surprising as they both take after mummy and have a sweet tooth. What I like about the bars is that they are made with organic ingredients, with no junk (which is great when you’re a mum who sometimes resorts to a Freddo as a bribe). These will be perfect to have in the car for the school/nursery pickup when the children complain that they’re hungry but dinner is still quite far away. The Organix cereal bars are priced at £2.49 per back of 6 and can be purchased at Tescos, Morrisons and Waitrose, as well as online with Ocado. We were sent a pack of each flavour bar for the purpose of review, however, all views are my own (and my offspring’s, obviously).